If you know anything about me, you probably know that I LOVE fall! The crisp air, the bright colors, layering cozy sweaters - I live for it all! 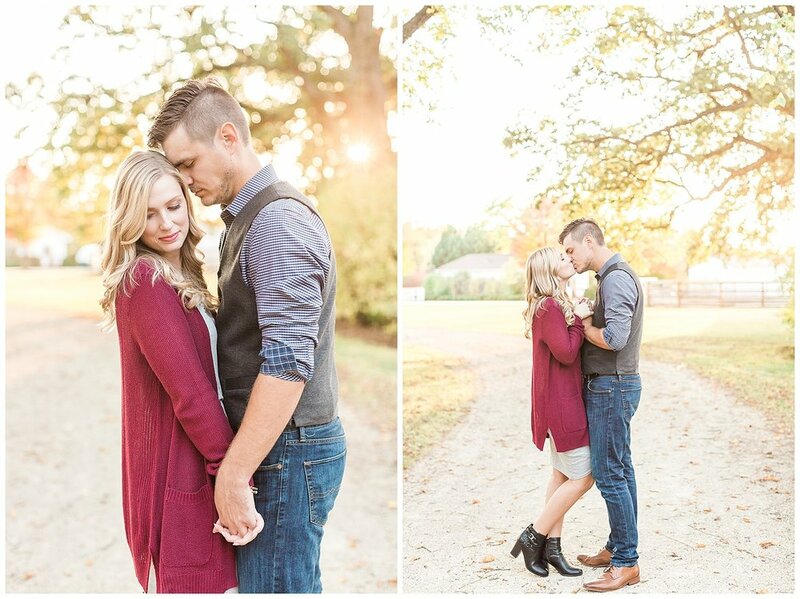 I was especially excited for engagement sessions this year because it meant photographing that gorgeous, glowy light that autumn sunsets bring. 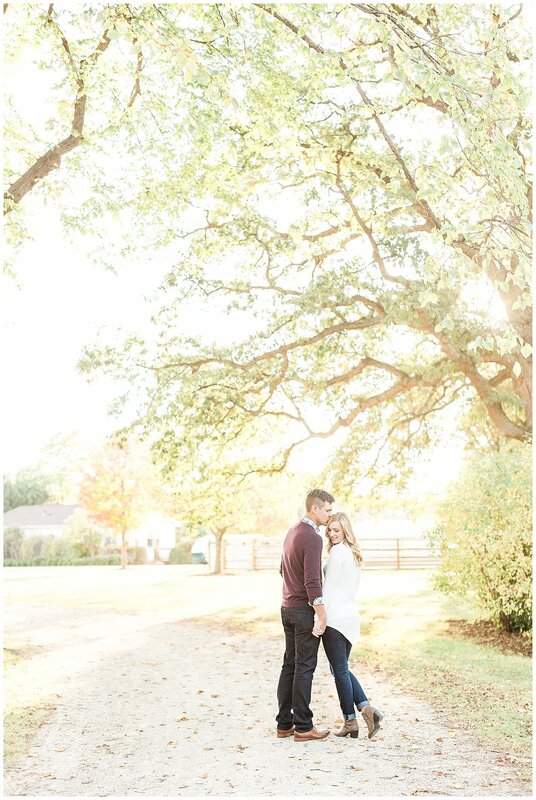 That light (and the pretty colors) SHOWED UP for Alyssa and Tyler's engagement session and I can't stop looking at their pictures! These two are some of the sweetest, kindest people you can meet! 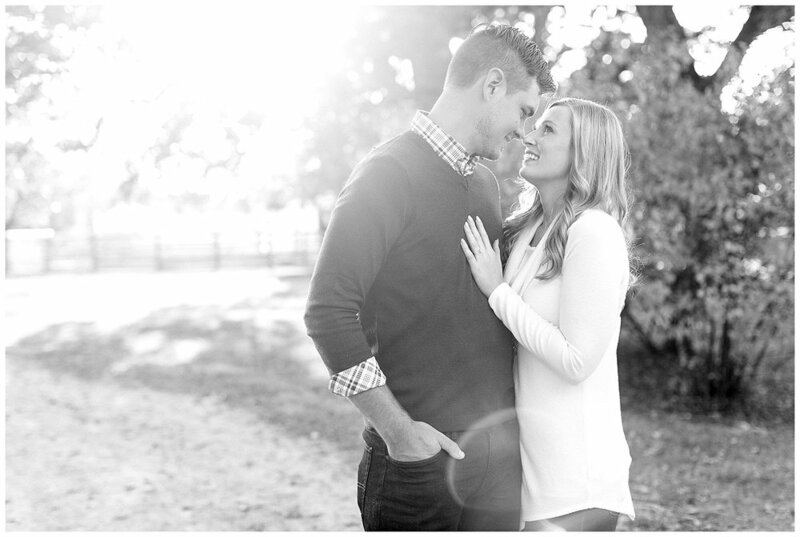 From the moment we met, they were warm and engaging, easy to talk to, and very clearly in love. 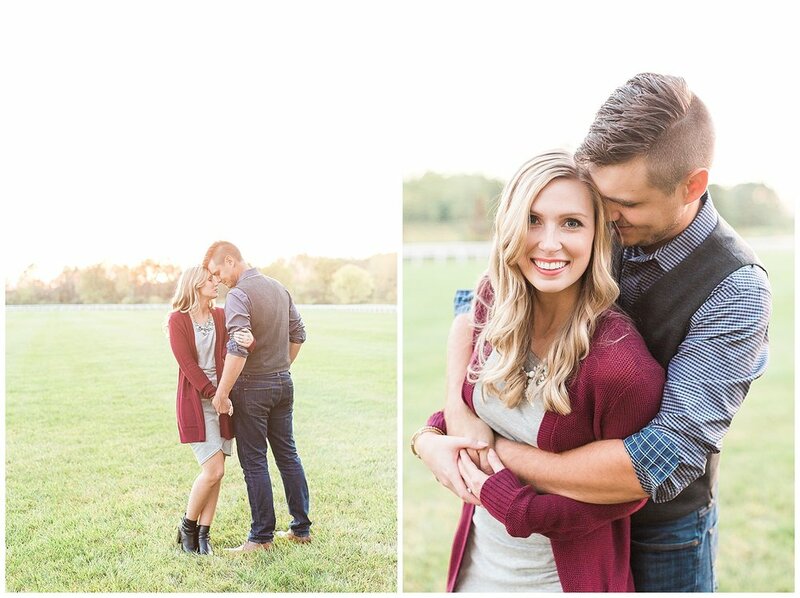 We met at the Danada Forest Preserve in Wheaton for their engagement session - and they brought their sweet dog, Wyatt, for a few pictures too! They were so at ease in front of the camera, laughing together and sharing sweet moments. 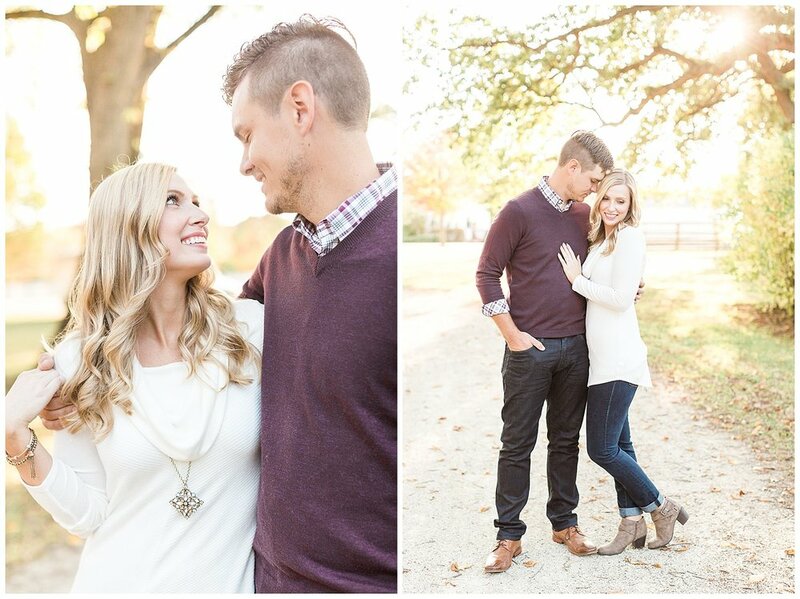 I cannot wait for their wedding next June!